NOTE: There are TWO PUBLIC portions of this historic Visit: (i) You can join the Elders for a Ceremony at Mt. Rogers National Park on Wednesday, September 5th; and (ii) You can join us at the Peace Pentagon Fundraiser on Thursday, September 6, which will include a multi-faith ceremony at our Peace Pole Medicine Wheel, dinner, entertainment, and talks from special guests - including the Elders! See below for details on how to register. Help Oracle bring Indigenous Shamans from South America to the New River! The Oracle Institute is hosting the first leg of the North America "Original Caretaker's Ceremonial Visit," which will be led by Kogi Mamos from Colombia and Otomi Shamans from Mexico. These Elders recognize that Mother Earth and all her inhabitants are in grave danger, consistent with Western science but based on their ancient and abiding connection to the planet. The Kogi have remained isolated from the rest of the world since the Spanish Conquistadors arrived in South America to plunder gold. In order to preserve their traditional way of life, the Kogi rarely interact with the modern world and outsiders are not allowed inside their ancestral lands. In 1992, the Kogi broke their silence and allowed a small BBC film crew into their isolated mountaintop villages to shoot a documentary. The documentary is entitled "The Heart of the World: Elder Brother’s Warning." In the movie, the Kogi Mamos relay a prophetic message and warning to “Younger Brother” – that the Great Mother is being ravaged. 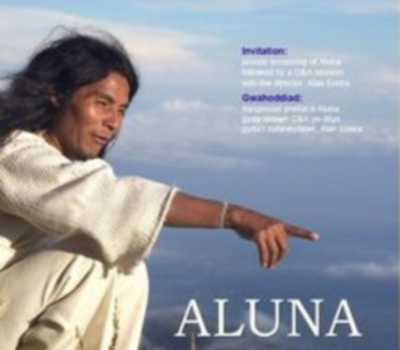 In 2012, the Kogi broke their silence again with a second movie entitled "Aluna." In this film, they proved their knowledge of Earth changes and the Cosmos. These Shamanic Elders are practiced in restoring Sacred Sites and they work energetically to restore the health and balance of our world. They are visiting North America to perform Sacred Ceremony in the U.S. and to spread their message of Earth Care and Spiritual Environmentalism. First, the Elders will perform ritual at the Oracle Campus in Independence, Virginia along the New River (the oldest river in the Western Hemisphere and possibly the oldest river in the world). Next, the Elders will go to the Four Corners in Colorado to energize more sacred sites. The Visit will culminate in San Francisco, California with the Elders’ participation in the Global Climate Action Summit, co-sponsored by the United Nations and hosted by Governors Jerry Brown and Michael Bloomberg. The Summit is intended to provide confidence to other nations that the U.S. is committed to addressing and remediating global climate change (despite President Trump’s denials). Donate TODAY to support the Original Caretaker Visit to Oracle Campus! 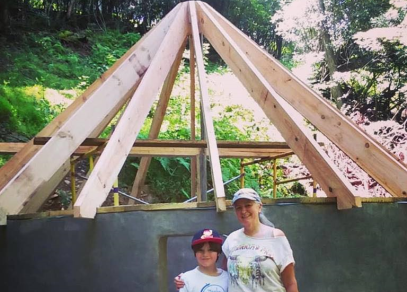 ​Oracle is building a "Kogi Kiva"
Oracle is a leading voice for building a better future – a future of peace, sustainability, respect for all faiths, and social justice for all people. Help us succeed in our Mission by giving to the Original Caretakers Ceremonial Visit. Your donation will be used to bring the Elders to Oracle Campus to perform ceremonies and convey blessings to Virginia! 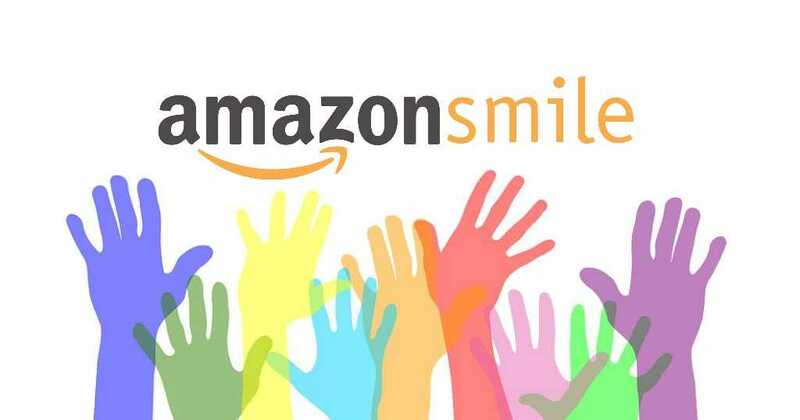 Oracle is a 501(c)(3) educational charity, so your donation is tax-deductible. Make a Donation and Receive a gift - Or Join Us for a Ceremony Event! Receive all the gifts listed so far! Oracle is grateful to be co-sponsoring the Original Caretakers Ceremonial Visit with UNESCO (United Nations Educational, Scientific and Cultural Organization), Forum 21 Institute, and the Center for Earth Ethics. Rev. 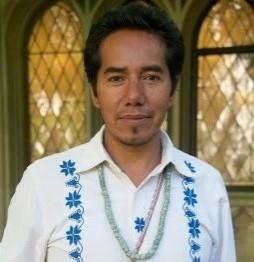 Ken Kitatani is the Executive Director of the Forum 21 Institute, and he oversees the Sacred Sites Program. 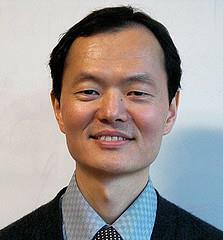 Ken is an ordained minister of Sukyo Mahikari Centers for Spiritual Development and is the Chief Administration Officer of their UN NGO. Ken co-chairs the Advisory Board of the Center for Earth Ethics of Union Theological Seminary. He also serves as the Executive Director of the United Nations Committee for Spirituality, Values and Global Concerns, and he is on the Executive Council for the UN Committee for Religious NGOs. Ken graduated from Columbia University with a B.A. in East Asian Studies. 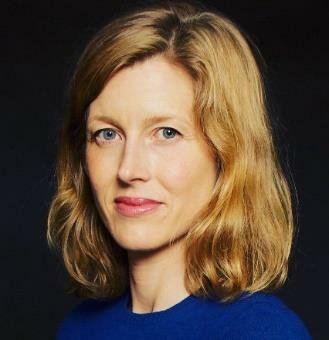 Karenna Gore is Director of the Center for Earth Ethics at Union Theological Seminary, which oversees the Original Caretakers Program. Previously, she worked in the legal center of Sanctuary for Families and as Director of Community Affairs for the Association to Benefit Children (ABC). She has also worked as a writer and is the author of Lighting the Way: Nine Women Who Changed Modern America. She is a graduate of Harvard College, Columbia Law School and Union Theological Seminary. She lives in New York City with her three children and serves on the boards of the Association to Benefit Children (ABC) and Riverkeeper. Mindahi Crescencio Bastida Muñoz is Director of the Original Caretakers Initiative at the Center for Earth Ethics. He serves as the coordinator of the Otomi-Hñahñu Regional Council in Mexico, a caretaker of the philosophy and traditions of the Otomi people, and has been an Otomi Ritual Ceremony Officer since 1988. Born in Tultepec, Mexico, Mindahi holds a Doctorate in Rural Development from the Universidad Autónoma Metropolitana, and he is President of the Mexico Council of Sustainable Development. He is a member of the steering committee of the Indigenous Peoples’ Biocultural Climate Change Assessment Initiative, and he has served as a delegate to several commissions and summits on indigenous rights and the environment. 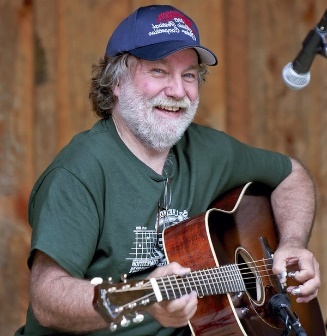 He has written extensively on topics such as the relationship between the State and Indigenous Peoples, intercultural education, and associated traditional knowledge. 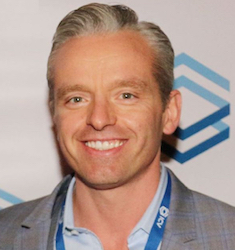 Robert Smith is the Founder of ICV Group, Inc., an investment firm that also connects philanthropic donors with projects of high social impact. On Wall Street, he managed traders at the world’s leading proprietary trading firm and institutional salespeople at investment banks, and he achieved 66 months of consecutive profitability. For the past decade, he has allocated capital on behalf of and co-invested with Family Offices. He advises and serves on numerous boards, including: Advisory Board of the U.N. Capital Development Fund, which benefits the poor in the world’s 47 least developed countries; President’s Advisory Board of Thomas Jefferson University and Health; Senior Advisor for Fundraising to the Permanent Secretariat of the World Summit of Nobel Peace Laureates; Trustee to the Africa Rising Foundation, founded by Ndaba and Kweku Mandela, grandsons of Nelson Mandela; and Advisor to the Kennedy family’s New Frontier Bio. In 2018, Robert was recognized as one of The 100 Visionary Leaders by Real Leaders Magazine, alongside Bill Gates, Mikhail Gorbachev and Leonardo DiCaprio, and he joined Deepak Chopra’s Evolutionary Leaders. Currently, Robert is establishing The Aluna Fund to assist Indigenous People such as the Kogi. H.E. Rev. 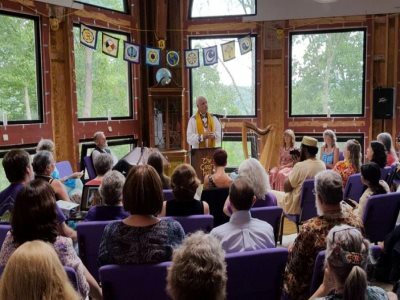 Patrick McCollum is President of the Patrick McCollum Foundation for Peace and an interfaith chaplain, spiritual mentor, author, and peace counselor. 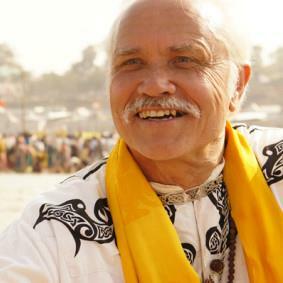 He serves on the Boards of Children of the Earth Foundation, the Dev Sanskriti Vishwavidyalaya University, and the Peace Service Center & Shanti Sewa Ashram in Nepal. He also is the Founder of the “G” Card program at the American Academy of Religion, and the Minority Faith Chair for the American Correctional Chaplains Association. Patrick is known for his Peace Violin, which he built himself using elements from various wars and which he at historic events all over the world. Patrick is the recipient of numerous peace awards, including the Mahatma Gandhi Award for the Advancement of Religious Pluralism and the Ralph Bunche International Peace Award. In 2017, Patrick was Knighted by Queen Elizabeth and, in a ceremony performed by Lakota Sioux leader Guy Dull Knife Jr. at Standing Rock, he was honored with the name Unci Maka Wokianka (He Who Speaks with the Mother), for his decades of work for Indigenous Peoples.